Finally finished this 1200- pages monster !! The last few hundred pages had me hooked to the book, literally grabbed me by the neck and made me sit through that mind numbing action sequences, hands-on combat scenes exploding in your face, the plots thickening and peaking to fantastic climaxes! 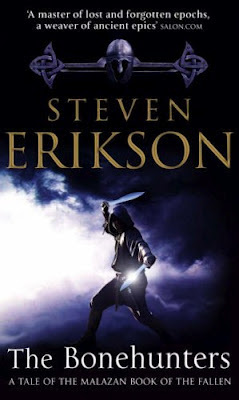 it was all right there, the secrets unfolding as I continued reading mesmerized and completely besotted with crawling through those hoopla loops that Erikson keeps weaving with his intricate plotting. By now we all know that the greater evil is the Crippled God - and its a war between the Gods and we need to take sides. the mortals caught in between this deathly duel are the hapless Malazan Armies. and yet some among the Malazans, are now showing thier true colors, destined for greatness beyond thier mortal realms. Having chosen to lock horns and taunt some of the Gods, who are now playing with the Mortal lives. You know who am talking about !! I’v never enjoyed military fantasy so much. 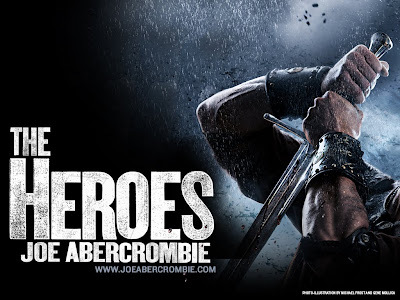 Hard hitting, sweeping, gritty, awash in blood gore and filth, Joe Abercrombie’s best effort yet. I haven’t read his “Best Served Cold” yet, I’ve heard it’s about a linear singular plot of revenge as the name suggests. His grittiest till date. Well, Gritty is one word that never escapes you when you talk about Joe Abercrombie. I soon plan to get back to his first trilogy, where he had taken the usual fantasy tropes and given them a all a nasty little tweak in the head and produced a best seller that took the world by storm announcing the arrival of a major tour-de-force in the Fantasy voices. Coming back to Heroes – Remarkable military fantasy that reminds us time and again, that at the end of the war, there are no winners. There are only casualties. To quote Mr. Abercrombie, Luck. Some men have it, some don’t. 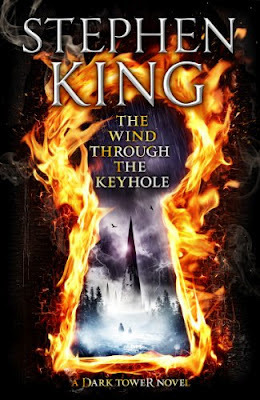 This is next installment in the acclaimed Dark Tower series, that last ended with THE DARK TOWER, where Stephen King takes the excuse to travel back into the world of the Dark Tower and my all-time favorite Fantasy Protagonist, the flawed and yet endearing GunSlinger out to save the good in the world. Anyways, eagerly looking forward to land this one!